The history of the brand, now known as Škoda, began in 1895, with a small company called Slavia, which produced bicycles and motorcycles. The automobile brand Škoda exsts since 1929. 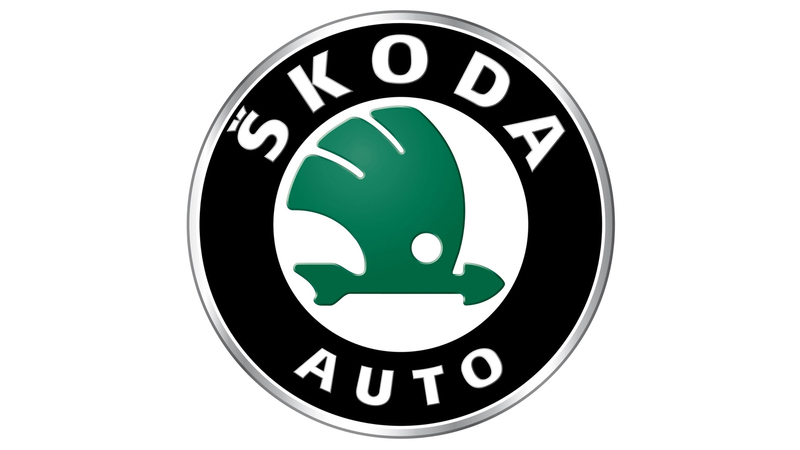 The first Škoda logo was developed during that time. The round shape of the logo was chosen back in 1895, when the main symbol was a wheel decorated with linden leaves with diagonally placed font writing of the name of the company. Later, the name Slavia disappeared from the logo, the names of the founders of the company (Laurin & Klement) disappeared, and the linden tree was replaced with laurel, and only in 1926 the new brand demanded a new name. The first logo of the Škoda brand was the head of an Indian with feathers on his head – this is perhaps the only logo in the world, the authorship of which is fundamentally hidden. Formally, it was thought that the commercial director of the company at the beginning of the 20th century, last name Maglich, came up with it. At the same time there was a version that this image has a much more complicated origin and is based on the profile of one of the American Indian leaders, found on a golden piece. 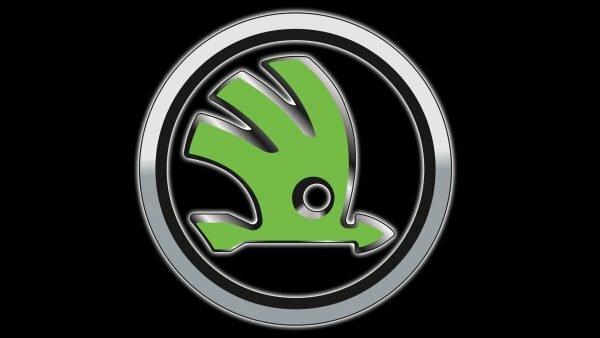 The main symbol of the Škoda logo, since 1926, was a symbolic image of the “head of an Indian with feathers,” which later became a “winged arrow”. In both cases, this is a symbol of success in competition, credibility and, undoubtedly, speed. The first font on the logos of Škoda resembled classical calligraphy. Being placed in the center of the logo, it attracted special attention already thanks to its restraint and embodied dignity. And the letters connected with each other in a single calligraphic design testify to the integrity of the brand, its attentive attitude to the products created in all the details. Later the font became more restrained and even, but better readable. In today’s logo, it is outside the image, and is no longer dependent on the graphic element, as it was, for example, in the 1999 version (the text was an element of the logo, being placed along the contour of the image). 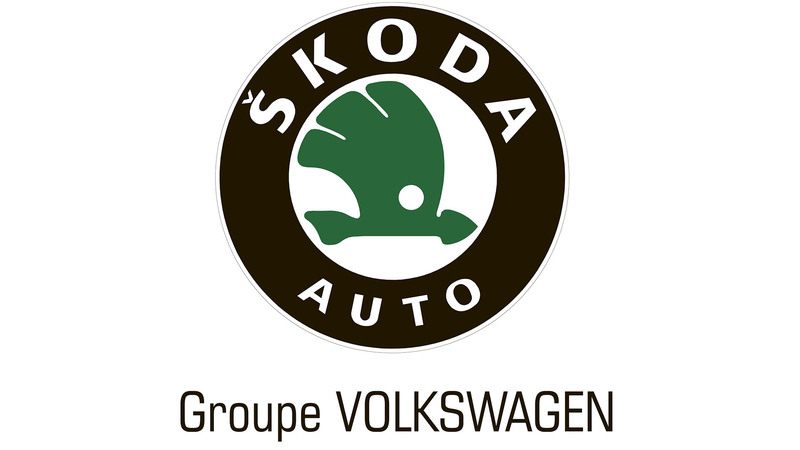 The basic background of the Škoda logo remained unchanged from 1926 – white or silver. But the color of the image itself – from blue to green – changed only in the 1990s. In the modern logo, unlike the version of the 1990s, the influence of black color decreased, – the black border on which the font writing of the brand was placed, was replaced with a thin line. But the black “shadow” appeared on the logo itself, making the “arrow” more distinct and noticeable.